Download the latest version of the VibeLab Vibration Controller software and register to be notified of any software enhancements or issues related to this version. Full-line catalog of vibration test equipment including: electrodynamic shakers, audio power amplifiers, vibration controllers, accelerometers, signal conditioning, and other vibration test-related products. The catalog also contains engineering information on shakers, amplifiers, controllers, sine ratings, testing and calculations, random vibration testing, ratings, and calculations. Download and install the calculator for Windows. Use it to calculate acceleration, velocity, displacement, and frequency for sine, random, and shock vibration. This is the latest version of the actual controller software which runs in demonstration/learn mode on most later model PC's with video resolution of 1024 x 768 and 16 bit color. Download this software to actually exercise the VibeLab controller. All functions are fully active, allowing familiarity with the programming, running, saving, printing, etc. 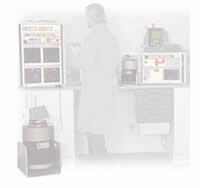 capabilities of the VL-144 Series vibration controllers. Software is easily removed when no longer needed.